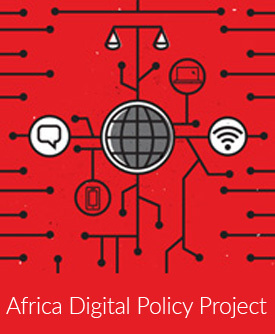 As a stakeholder in the Internet and ICT sector in Africa, you are invited to share your views and perspectives on Internet Governance Forums in Africa through an online survey. The survey is being undertaken as part of academic research towards a Master of Arts in Contemporary Diplomacy from the University of Malta. All responses will be aggregated and respondent information will not be published or released in any form. The research aims to study the effectiveness of national/regional/continental IGFs in Africa. It is expected that the results will provide valuable information for existing and planned initiatives and once published, the information will be made publicly available. The research builds on previous work including the effort started through the global IGF Inter-regional dialogues list to document national and regional IGFs and their processes. The survey has been structured to allow respondents to choose from the various IGFs- national, regional, Africa and global – which ones they would like to provide perspectives on; it also includes a section for general perspectives on multi-stakeholder processes. The survey should therefore take a minimum of 10 minutes (no perspectives on any IGFs provided) and not more than 30 minutes (perspectives on all IGFs provided) to complete. You have the option to review and edit your responses within the survey period which ends on December 15th 2014. You may forward the survey to your various contacts and networks. Note: The African Union Information Society Division and the NEPAD e-Africa Programme are supportive of this research and may find the outputs useful and relevant, however this work is not being undertaken within the remit of Towela Nyirenda-Jere current employment with the NEPAD Agency.